When The U.S. Immigration and Customs Enforcement agency announced its intention to close the Etowah County Detention Center in Gadsden, Ala., in 2010, Alabama's congressional delegation turned on the pressure to block the closure. GADSDEN, Ala. -- The serpentine Coosa River once brought people and goods aplenty to this pretty Southern town, known first for its riverboats and later for its rubber and steel plants. But those times are mostly a memory. The city has struggled since the 1980s. Plants shuttered, and industry moved abroad. Many jobs shifted into the service sector. Then, in the late 1990s, a tide of immigrants flowed into Gadsden, delivering an unlikely economic boost. The essential revenue they generated came not from their work in fields, factories or hotels, however, but from their presence in the county’s jail cells. Ever since, the Etowah County Detention Center has typically held hundreds of immigrant detainees, incarcerated at the behest of the federal Immigration and Customs Enforcement agency, or ICE, as they either await deportation or fight it. The stable jail population has meant a steady income for the county -- $40 per detainee per day, plus additional payments that bring the total to more than $5 million a year – and good-paying jobs. But the revenue stream appeared to be about to dry up in late 2010, when ICE decided to move the detainees out of the remote and controversial Alabama jail, where critics say they often are subjected to indefinite confinement far from their families and lawyers. Alabama politicians weren’t going to let that happen without a fight. Records obtained by NBC News show that members of Congress waged a successful battle to stop ICE from ending its deal to lease over 300 beds at the Etowah jail, part of a plan to consolidate its detention facilities and house detainees closer to the courts where their cases are heard. The Etowah County Detention Center in Gadsden, Ala., holds as many as 350 suspected undocumented immigrants for open-ended stays as they await deportation. Critics say conditions in the rural lockup are "inhumane." NBC's Mark Potter reports. 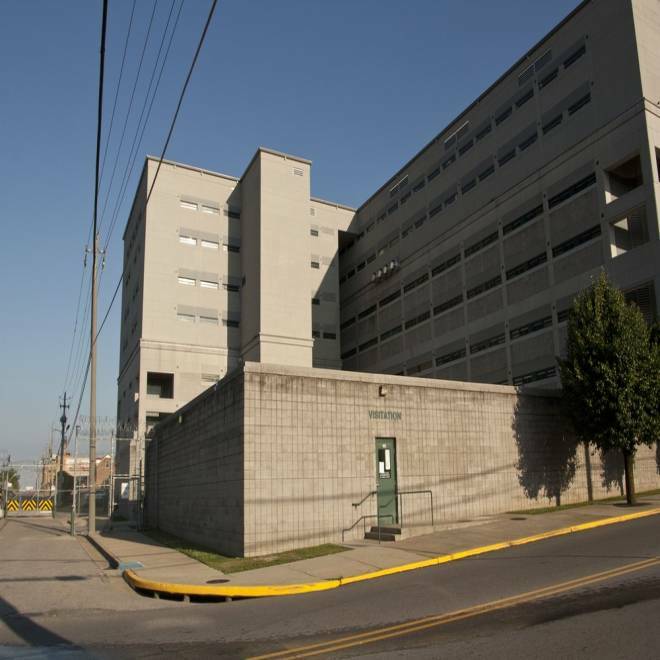 The story of the Etowah County jail demonstrates how politicians can shape not just policy, but everyday operational decisions at ICE, an agency responsible for nearly 34,000 detainees on any given day. The Obama administration has deported record numbers of illegal immigrants in recent years, including nearly 400,000 in fiscal 2011. It also has detained record numbers of immigrants, thanks to 1996 legislation that expanded the jailing of immigrants pending deportation proceedings. Floyd Abdul, a Zimbabwean national, describes the four months he spent locked up in Alabama's Etowah County Detention Center. As a result, ICE now operates the largest detention system in the country. Most detainees await their court appearances or deportation dates not in ICE facilities, but in a network of private and local jails and prisons that offer the agency beds for far less than it would cost to build its own. ICE currently makes use of more than 200 such facilities. Many, like the Etowah jail, are in financially struggling rural counties that have come to depend on ICE, which pays between $40 and more than $100 per person, per day to house and feed the detainees. But ICE itself is under pressure to strengthen Christensen wrote in January 2012 in response to inquiries about conditions in the lockups. The agency has also tried to centralize operations, and give detainees greater access to family and lawyers, Christensen said. Those initiatives can be at cross-purposes with the needs of cities like Gadsden, the seat of Etowah County, where the fierce pressure brought to bear on ICE when it sought to remove the detainees illustrates how economically dependent the community has become on immigrant detention. Immigrants have been dispatched to the Etowah County Detention Center – a large, gray block that sits across the street from shops selling guns, bail bonds and barbecue -- since 1998, when the agency then known as the Immigration and Naturalization Service began using it to house detainees it had no room for at its detention facilities in Georgia. The federal government helped pay for an expansion of the jail in 2003, kicking in about $8 million to help finance the $13.5 million project. The relationship was good for both sides. It meant steady revenue for Etowah County and much-needed – and cheap -- space for the INS and its successor agency, ICE, which is part of the U.S. Department of Homeland Security. The county receives not just the $40 per detainee payment from the feds, but reimbursement from ICE for expenses arising from transporting detainees. ICE also rents offices in Gadsden and pays the county officers assigned to the detainees $17 an hour. The facility remains a bargain for ICE, which pays day rates nearly three times higher at detention facilities in some northern states. But the remoteness of the jail poses problems. For years, detainees and ICE employees have had to travel two hours each way to reach the ICE field office and courts in Atlanta. That was one of the justifications cited two years ago when ICE, under pressure from Georgia politicians to make use of a half-empty detention facility there, announced that it planned to pull detainees out of Etowah County in December 2010. The county decided to fight. A Dec. 7 email obtained by NBC News through an open records request shows Alabama Rep. Robert Aderholt’s staff contacted ICE the day after the announcement. “Mr. Aderholt is quite concerned about this move and is requesting any information we have on the decision,” the email reads. The email was among more than 800 pages of documents obtained through a Freedom of Information request that detail the fight to keep immigration detainees at Etowah. In phone calls, meetings and interviews with the press, Etowah County Sheriff Todd Entrekin implored the county’s congressional representatives to intervene. “The financial impact of ICE voiding their contract with Etowah County and Alabama will be economically catastrophic to the employees, the county and Northeast Alabama,” he said, according to local newspaper accounts. Voiding the deal, which generates approximately $5.2 million a year for the county, would mean “49 individuals losing their jobs only days before Christmas with no notice whatsoever,” he said. The county also was still paying off about $3 million in debt associated with the jail expansion. “Without the ICE contract, Etowah County will not be able to meet these obligations,” Entrekin told the Gadsden Times. Members of Alabama’s congressional delegation, including Reps. Aderholt and Mike Rogers and Sens. 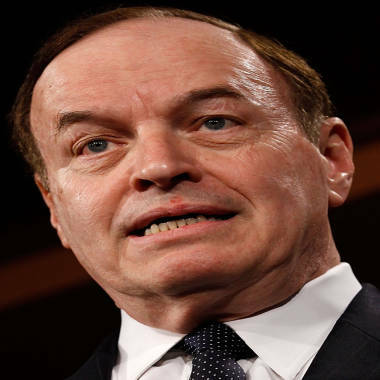 Richard Shelby and Jeff Sessions, all Republicans, reacted swiftly. Within days, they sent emails to and met personally with high-level ICE officials to plead Etowah County’s case. ICE staffers told the Alabama politicians that the withdrawal from Etowah was “inevitable,” documents show. And ICE said the agreement between the county and the agency, set to expire in 2014, simply set terms for ICE to use the facility -- it did not guarantee the agency would do so. But emails show ICE officials soon grew concerned they would face budgetary repercussions if they did not find a solution that would satisfy Etowah County. An email from an ICE employee cited a conversation on Dec. 7 with Allen Cutler, Sen. Shelby’s appropriations staffer. “Cutler stated there would have to be a resolution that would satisfy Shelby or there would be a stop to all ICE reprogramming requests," it read, referring to requests from the agency for more funding. The next day, the local newspaper reported ICE had decided to postpone the pullout. In meetings over the following days, ICE staff presented reports that outlined the cost-savings of using Georgia detention centers. They also encouraged Alabama officials to "highlight the need for Secure Communities in AL, which would lead to the use of more facilities in the state." Secure Communities is a controversial program that uses a federal database to identify immigration violators when they are booked into local jails. The agency also looked for other solutions -- including the transfer of detainees from other facilities. "We can move 100 women out of Etowah, and replace them with a hundred others,” read one Dec. 15 email. “Not a zero-sum issue." ICE eventually backed down, guaranteeing that the detainees would stay at the Etowah County Detention Center at least until March 2011. Records show that the Alabama lawmakers were placated, but wary. Sen. Shelby’s office told ICE they would continue to negotiate on behalf of the county, and asked for a personal meeting between the senator and ICE staff members to discuss their “poor performance,” according to emails. True to his word, that March, the senator again queried ICE about the agency’s plans, communications logs show. But records suggest representatives went beyond such requests. 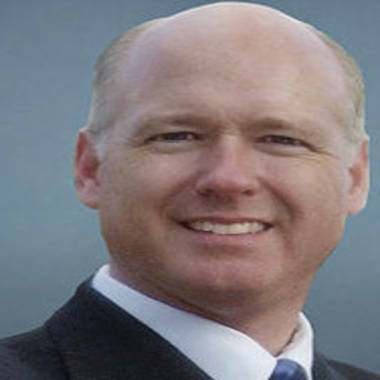 Not long after Rep. Aderholt become chairman of the House Appropriations Subcommittee on Homeland Security in January 2011, giving him power to shape ICE’s budget, he demanded a meeting with ICE. “I met with Aderholt’s personal staff,” wrote Gary Mead, ICE’s executive associate director for Enforcement and Removal Operations, or ERO, in a March 29 email to top ICE staff. “I do not believe we will be allowed to leave Etowah without serious repercussions against our budget. I have a meeting tomorrow with ERO folks to figure out if there is a reasonable way to make some use of Etowah long term. Discretion may be the better part of valor here." Throughout that month, local newspapers reported what a pullout would mean for the county. Sheriff Entrekin said that, in addition to losing revenue from leased beds and jobs, his department would no longer collect fees that ICE detainees paid for phone calls and commissary items, forcing cuts in programs like substance abuse treatment and inmate work details in the community. By June 2011, ICE had developed a proposal that satisfied the Alabamians. The agency decided that the detention center would be switched to the New Orleans regional office. That would enable the transfer of long-term detainees held at different facilities throughout the Southeast to Etowah. In emails, ICE reasoned these detainees have often exhausted legal remedies and would not need to be transferred regularly to immigration courts hundreds of miles away. At Etowah, it said, they could fight their cases by mail or await their deportation. But for some detainees, those waits are open-ended. Neville Swaby, a detainee sent to Etowah after the New Orleans Field Office took over, has been at the facility for nearly a year. He is an undocumented immigrant who entered the country illegally from Mexico. He was detained by ICE after serving a sentence stemming from a marijuana possession charge. An order for Swaby’s deportation has been in force for more than nine months, but his case is complicated because he has no official country of birth. ICE has requested travel papers from Jamaica, where Swaby says he was born. But the request has been pending since August 2011 and still no records have been delivered. Meanwhile, the agency has refused to free Swaby, saying his removal is expected in the “reasonably foreseeable future.” To Swaby, it seems simply to be a sentence without end. “After six months’ time, nine months’ time, I’m still here,” he said.